In the book, Huck was very adventurous, he often took risks, even when they were not necessary, making his life rather exciting. Adventure is something many want in their lives, so jealousy is apart of the story. When Huck ran away from his home, the adventures began instantly. He tried to stay in the dark and keep away from stray from his dad who was an extreme abuser. One of the most important things in the book, in my opinion, was when Huck escaped from his father. This showed how willing Huck was to do whatever is necessary for his own sake to keep himself save and moving in the right direction. Although I do not agree that running away was his best option, however, when Huck made that decision, he often thought of Tom Sawyer and what he would have done. With the thought of running away crossing his mind, he infact did it because he thought that it would be ‘the most adventurous’ and that he could tell his best friend tom about it. The adventure continues throughout the novel, with Huck and Jim always on the run. They did anything from spying on the robbers to escaping from obnoxious con-artists. Huck had to make a huge decision on whether or not to tell what they were doing. Because of the moral values huck had, he did end up telling on the con-artists. This also showed the type of heart Huck had. He wanted to do the right thing so that he could come out living. This is just one of Huck’s actions that was admirable in the story. Huck also had to decide whether or not to turn Jim into the Widow. Huck’s heart guided him in the right direction again. Jim had never done any wrong to Huck, so Huck did not turn Jim into the Widow. Huck did not seem to have the same values as the other individuals in the southern half of the country. Southerners thought African Americans were nothing but property. They thought they were worthless if they were not owned by a plantation owner, they had to buy themselves freedom, and that running away from their owner would result in absolutely horrifying punishment. Huck saw that Jim did not deserve to go back to the Widow and that it would be wrong to turn him in. Huck was able to put himself in Jim’s position to figure out what was right. This was an admirable quality of Huck, and it was not the only one either. 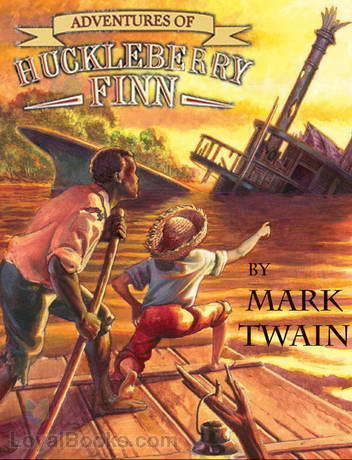 Huckleberry Finn was a generous young man with, not only the desire to get himself out of his situation alive, but Jim, his buddy that helped him get out of many situations. I personally admire Huck; he is a true example of how we should act, with the morals and values we should have. Quote: “Well, I can tell you it made me all over trembly and feverish, too, to hear him, because I begun to get it through my head that he WAS most free—and who was to blame for it? Why, ME. I couldn’t get that out of my conscience, no how nor no way. It got to troubling me so I couldn’t rest; I couldn’t stay still in one place. It hadn’t ever come home to me before, what this thing was that I was doing. But now it did; and it stayed with me, and scorched me more and more. I tried to make out to myself that I warn’t to blame, because I didn’t run Jim off from his rightful owner; but it warn’t no use, conscience up and says, every time, “But you knowed he was running for his freedom, and you could a paddled ashore and told somebody.” That was so—I couldn’t get around that noway. That was where it pinched. (Twain 79). Huck realizes that, according to the southern morals, he will be considered a wrongdoer because he did what he thought was right, and helped his friend jim escape. People may consider Huck to people a bad southerner but he was doing what is right. What he did is breaking no law at all. The moral system that he has is unbelievable even though he went through with so much with the Widow. Huck Finn Character Analysis by Emily is licensed under a Creative Commons Attribution-ShareAlike 4.0 International License. Your work is very good. I can totally tell that you played close attention to the character Huck in this book. You did a great job at breaking down the things he did and reasons as to why. I think your quote also helped you a lot in breaking down this character in more detail. I do wish you got into a little more detail about the physical aspect to Huck but this piece is very well written overall. Good job!